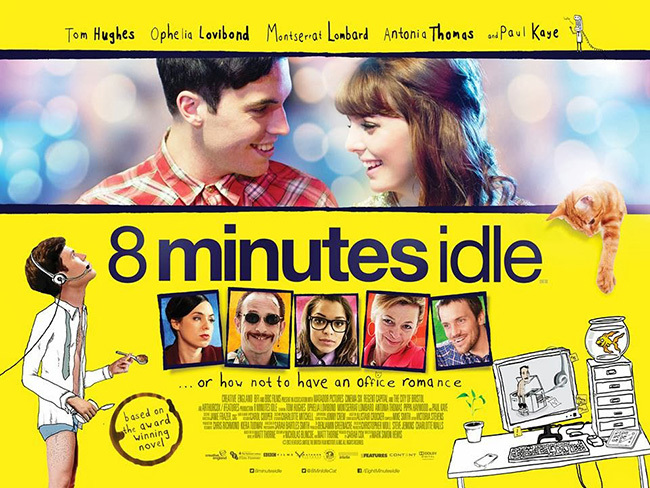 We worked with Creative England, Shear Entertainment, and We Are Tonic to release British comedy film 8 Minutes Idle in UK theatres, and later with Luxin Ltd to launch the film to DVD. Based upon Matt Thorne’s Award-winning novel about life in a call centre, the film stars Tom Hughes, Ophelia Lovibond, Paul Kaye, Antonia Thomas and Montserrat Lombard. Dan Thomas has always taken the path of least resistance – in his work life, home life and love life. But when Dan finds himself kicked out of the family home, he’s faced with no option but to secretly move into the call centre where he works. Suddenly, everything that he’s previously taken for granted – a well-stocked fridge, clean clothes, his friends, his self respect, even his beloved cat – are either disappearing or conspiring against him. As Dan’s work/life balance spirals dangerously out of control, he’s forced to break out of old habits and to dare to do something he has never had to do before – really care about someone other than himself. We managed press screenings, reviews, talent interviews, digital assets and creative strategy, securing quality press coverage with media outlets including The Guardian, Time Out, Vice, i-D, Radio Times, Screen Daily, Hunger TV, The Arts Desk, The Grolsch Film Works and much more. We partnered with Jameson Irish Whiskey and popular East London dive bar The Alibi to host ‘Eight Minutes Idle, From Book to Screen’, a talk with writer Matt Thorne, as promoted by The Huffington Post and various London guides, blogs and twitter accounts. We partnered with Lush Cosmetics to host our Valentines Day ‘8 Minutes Pamper’ media event at the Bauer Media Group London offices. To celebrate the DVD release, we oranized and managed a special launch event in Bristol with Cox and Baloney’s Vintage Tearoom & Bar.